Jingellic is another of the Summits in the Woomargama National Park. 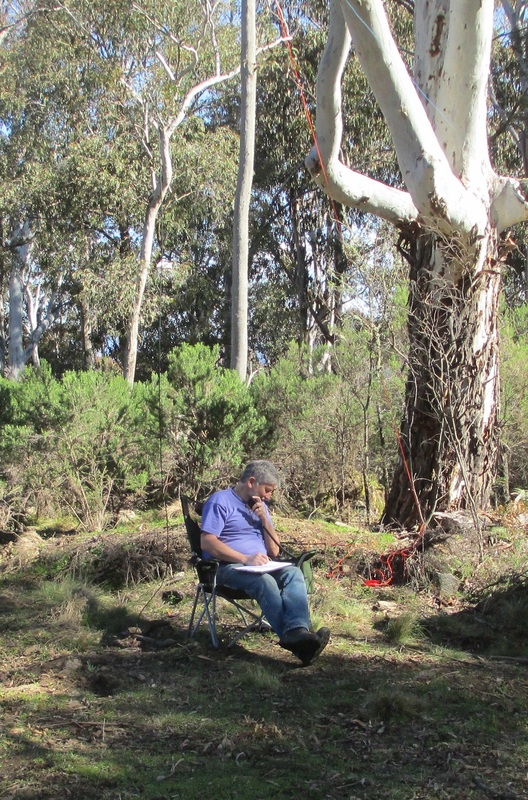 I have activated it previously in the company of John VK2YW, when we had explored the trails in the area and worked out the best way to access the Summit. This weekend was the first anniversary of SOTA in VK2 and so I thought Jingellic would make a fitting activation to mark the occasion. 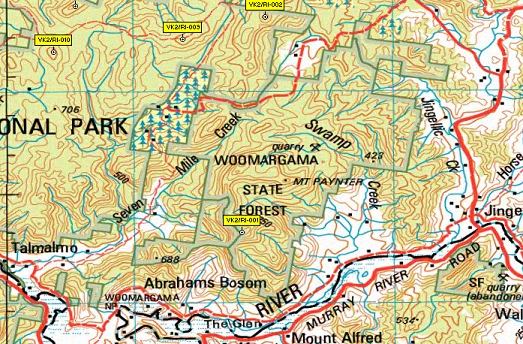 It also offered the possibility of activating at least one other nearby Summit in the Woomargama National Park if time permitted. Following several weeks without serious rain I anticipated no issues with the trails and figured we’d be able to get to the Summit without problems. So it turned out. The trail is fairly steep and has some very deep “speed humps” on it that would stop any vehicle that doesn’t have high ground clearance. The surface is clay in many places which becomes very slippery in the wet. We drove carefully up through the forest, enjoying the spectacular views that opened up on either side as we climbed. 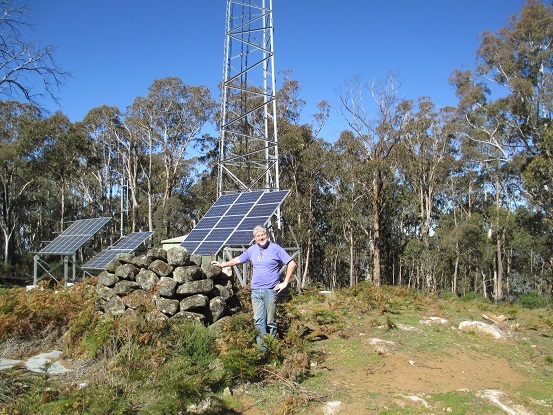 The trail goes across the summit of Mt Paynter (not a SOTA Summit) and then follows the ridge line through to Jingellic, where there is a stone cairn marking the Summit and a solar-powered commercial repeater installation. We decided to set up some distance away from the solar panels just in case of electrical noise, but I was pleased to find that nothing could be detected. I had still not repaired the link dipole – work is such a pain when it gets in the way of the really important stuff, isn’t it – but I had rigged up a half-wave dipole for 7MHz that I was using for this activation. It went up quite easily and I made contacts with VK1MA/P, VK3PF, VK2VU, VK3FQSO, VK3UH, VK3CAT, VK3EK, VK2LEE, VK2YW/P, VK3EQ/P, VK1MBE/2, VK3AV/M, VK2ZRD/P, VK2YK/M, VK2CCJ, VK3ANL, VK3BHR, VK1DI, VK3BYD, VK2GAZ, VK3MCD, VK1DA/P, VK1NAM, VK5CZ, VK2QR/P, VK2TWR/P, VK2VKV and VK3ARR/P. When it all went quiet we had a look at the map, considering whether we had enough time to get around to Tipperary VK2/RI-002 for a quick activation there. We decided that it would take us at least an hour to walk up to that Summit and so we would likely run out of daylight before getting back down. Neither my lady nor I were keen to be blundering about in the bush in the dark, so we decided to give that a miss. That’s one for another day.